Food-tech startup TinyOwl Technology Pvt Ltd, which recently sacked about 100 staffers as part of a restructuring exercise, has raised $7.5 million (Rs 50 crore) in fresh funding from existing investors Sequoia Capital and Matrix Partners. The development was first reported by The Economic Times, quoting TinyOwl co-founder Harshvardhan Mandad. In response to a Techcircle.in query, Mandad said: "Yes, we are in the process of closing our funding and will be able to share more details soon." 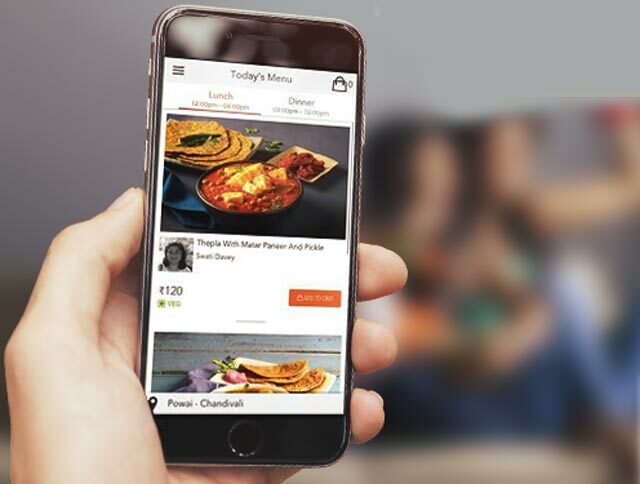 The funding gives Mumbai-based TinyOwl, which runs a location-based mobile app for ordering food, about 12 months of run-time to create a sustainable business, the news report said. In September, Techcircle.in had reported that TinyOwl had shown the door to about 100 staffers. The move is said to have helped the company reduce operating costs by 43 per cent. TinyOwl's sales, marketing, business intelligence and data teams saw maximum churn. In February, the company claimed to have 350-400 staffers. TinyOwl was founded in 2014 by Mandad, Shikhar Paliwal, Gaurav Choudhary, Saurabh Goyal and Khandelwal, all of whom are IIT Bombay alumni. In what is considered to be the biggest deal in the food-tech space, the mobile-first venture had raised $15 million (Rs 93 crore) in Series B funding led by Matrix Partners early this year. Existing investors Sequoia Capital and Nexus Venture Partners also participated in that round. TinyOwl has two offerings; TinyOwl HomeMade (for procuring meals from local chefs) and a similar service for food ordering from nearby restaurants. Recently, TinyOwl HomeMade started operations in Bangalore. Users can either make payments through their credit card or opt for cash-on-delivery. The app is available on Android and iOS platforms. The online food ordering business in India is estimated to be worth around Rs 5,000-6,000 crore, growing at about 30 per cent month-on-month, according to a report by India Brand Equity Foundation. However, this space is transactions driven and margins can be wafer for food tech companies. Few startups have either shut shop or have downsized operations. TapCibo Online Solutions Pvt Ltd, which operated under the brand Dazo, closed operations earlier this month. Cash-strapped SpoonJoy, backed by Flipkart co-founder Sachin Bansal, shut shop in Delhi and parts of Bangalore. Recently, the Spoonjoy team was inducted by hyper-local grocery and fresh food delivery startup Grofers as part of an acqui-hire deal. Foodpanda is revoking over 500 restaurants every month as it deals with allegations of operational irregularities. Two weeks ago, restaurant listing and services company Zomato said it was laying off around 300 employees worldwide, or nearly 10 per cent of its workforce. However, most of the job cuts happened at international locations. Yet, the sector continues to sustain investor interest. Recently, Techcircle.in reported that MealHopper secured $100,000 in seed funding from ixigo.com co-founders Alok Bajpai and Rajnish Kumar. Earlier, gourmet meals portal iChef.in raised an undisclosed amount from Springboard Ventures, an investment arm of media house Times Group's holding company Bennett, Coleman & Co Ltd.
On-demand meal service startup Frsh.com recently raised under $1 million in a bridge round of funding from Mumbai Angels, Roposo co-founder Mayank Bhangdia and existing investor Kae Capital.